No, this is not a misprint. 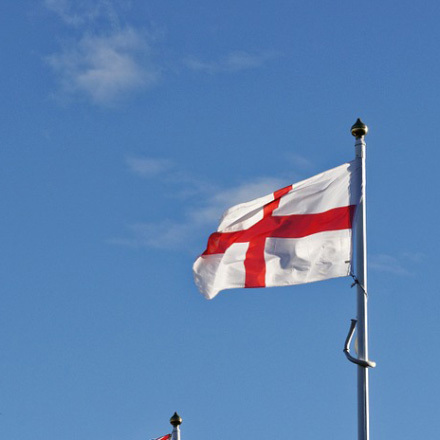 Today, the 23rd November really is St George’s Day - in Georgia, where the lucky folk get the day off work to boot. Known as Giorgoba to the locals, today is one of two days of the year that the locals celebrate their patron saint. Not only did Georgian George slay the dragon, he also wandered around Georgia assisting shepherds and once appeared at a crucial battle riding a white horse. 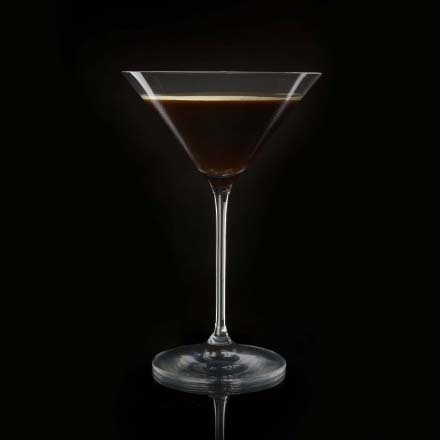 The Eastern European Georgia may not be known for its cocktails. But American Georgia has brought us the Georgia Mint Julep. It is a bit of a step-up from the average mint julep and well worth exploring. Happy St. George's Day. On this day in 1889, a San Francisco saloon, the Palais Royale, installed the world's first jukebox. What were bustle and spats-clad patrons dancing to in those days? Well, sadly that first prototype was not what you'd call communal. It featured four innovative earpieces attached to a phonograph inside a cabinet. Each earpiece cost the equivalent of a Dollar per go, but you weren't able to select what you listened to. On the plus side, you did get a towel to wipe off the ends of the stethoscope-style ear pieces once you were done. And, amazingly for something so, well, fundamentally insanitary, the nickel-in-the-slot player caught on. And we are toasting this silver-fuelled machine with a Silver Bullet cocktail. On this day in 1963, the first ever episode of Doctor Who, generally known as "An Unearthly Child" debuted, with William Hartness as the Doctor, a grandfather living with his daughter, who has to retreat to the Stone Age for fear that his Tardis will be discovered. An average of 6 million people would watch each episode of the four-episode serial, although the series only achieved its icon status when the Daleks appeared on-screen. Doctor Who, like James Bond, is one of those rare characters to have endured and evolved from the Mad Men era to the twenty-first century. Avid Doctor Who fans watch episodes with an eye for appearances by surviving Doctors of the past. We'll be drinking to the Doctor with a The Doctor No.1, a drink adapted from Trader Vic which really should be called a Swedish Daiquiri. You may prefer to toast with a The Doctor No.2, The Doctor No.3, or The Doctor No.4.